Nasa has discovered a “bonanza of new worlds” using its Kepler deep space observatory, almost doubling the number of known planets in the universe. Most of the 715 newly confirmed “exoplanets” — worlds outside our solar system — are smaller than Neptune, which is four times the size of Earth. Four orbit in their sun’s habitable zone, where life-giving water may exist in liquid form. The revelation raises the tally of confirmed alien worlds to nearly 1,700 since the first was identified almost two decades ago. “We’ve almost doubled, just today, the number of planets known to humanity,” said Dr Jack Lissauer of Nasa’s Ames Research Centre in California. Following its launch in 2009, the Kepler probe made observations of 150,000 stars to seek out clues to the existence of planets among them. 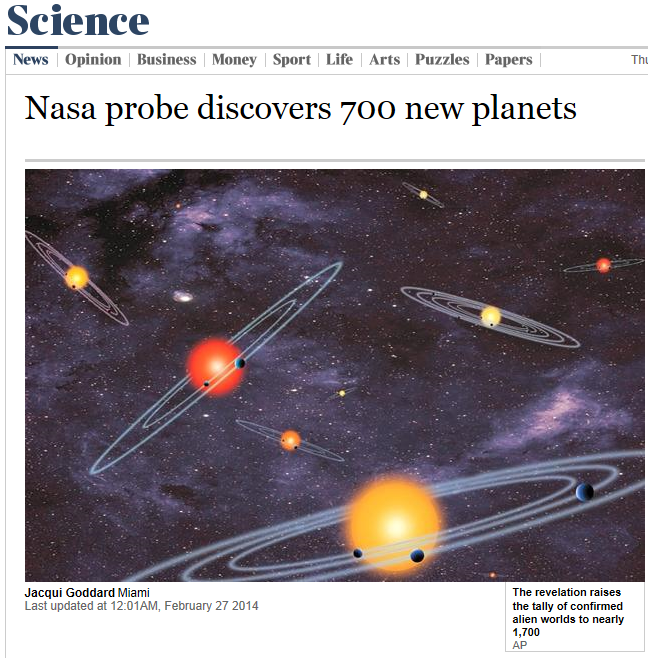 Only now, through the adoption of a new statistical technique for interpreting that data, have scientists been able to declare planetary discoveries. Of the four “habitable-zone” planets, one orbits a star that is half the size of our Sun and only 5 per cent as bright. Another, twice the size of Earth, could be either a gas planet or a water world covered by a deep ocean. In the sport of princes, Carlos Gracida was king. Yesterday the polo world was mourning the Mexican superstar, said to be the Queen’s favourite player, following his death after a freak accident during a match in Florida. When royalty around the world wanted to polish their performance on the polo field, it was to Gracida that they turned. They had the pedigree, but he had the talent, teaching Princes Charles, William and Harry, King Constantine of Greece, and even Sylvester Stallone. The 53-year-old father of two died from his injuries after an accident at the Everglades Polo Club, in Wellington. M r Gracida was knocked unconscious after another player’s mallet hit his horse on the head , prompting it to rear and clash skulls with its rider before falling on top of him. The polo player was airlifted from the field to a hospital in nearby Delray Beach, but later died after suffering swelling and bleeding in his brain. Lila Pearson, the daughter-in-law of Viscount Cowdray, whose home on the South Downs, Cowdray Park, is known as the home of British polo, was among those watching the match. Ms Pearson, who accompanied Mr Gracida to hospital, said: “The only blessing in this tragedy is that all the people he loved most — apart from his 95-year-old mother— were at his bedside and Adolfo Cambiaso and Juan Martin Nero, the two greatest players in the world, came to the hospital to wait with us all, an example of the great esteem he was held in by his peers. Mr Gracida was playing with his team, Santa Clara, when the accident happened on Tuesday afternoon, during the Freebooters Classic tournament organised by the International Polo Club of Palm Beach. Investigators for the United States Polo Association, the sport’s governing body, are interviewing players and umpires to determine whether the accident could have been prevented. In 2007 the death rate of polo was compared to that of Nascar racing, after Skeeter Johnson died in an accident in Wellington. Mr Gracida’s death cuts short the most garlanded career in the game. Born into a respected polo-playing dynasty in Mexico, Mr Gracida won more tournaments than any other player, claiming the British Open Gold Cup ten times, the US Open nine times and the Argentinian Open five times. He was the only player to ever win the Grand Slam — claiming victory in the US Open, the British Open and the Argentine Open in the same year. No other player had ever managed the feat. Mr Gracida did it three times. 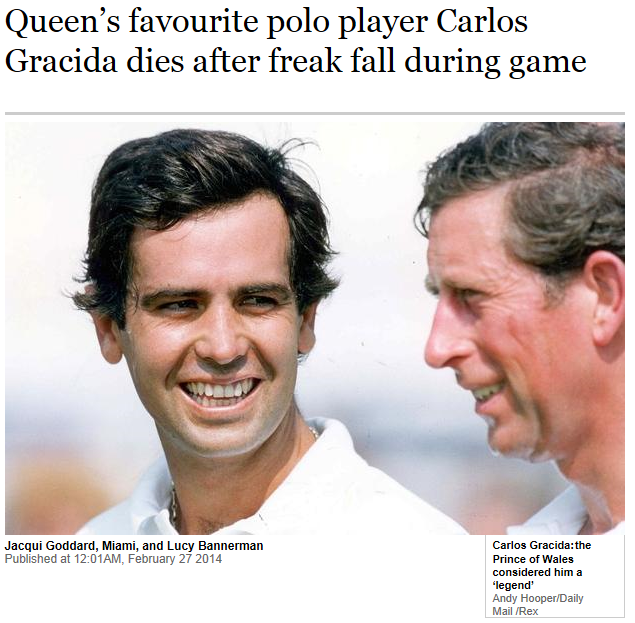 Carlos Gracida also coached Princes William and Harry and used to speak with pride of how the former introduced him to his then girlfriend, Kate Middleton, as “the best polo player ever”. The charismatic player, who was renowned for his speed on the field and his affability off it, held both stable hands and royalty in equal regard, Mr Rizzo said. “From the grooms to the Queen, Carlos treated everyone with great respect. 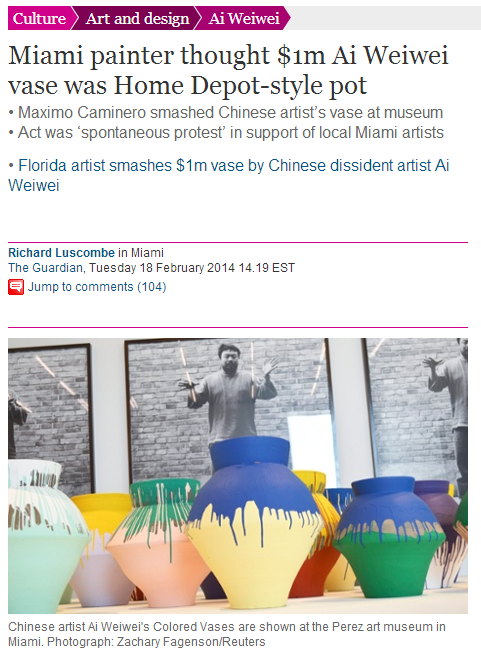 Not sure I’m buying into the artist’s claim about the garden centre pot! 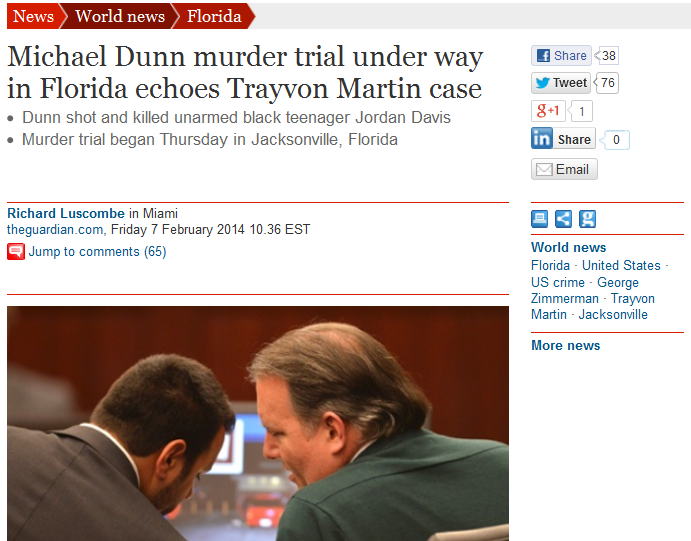 White man shoots dead unarmed black teenager in Florida. Haven’t we been here before? 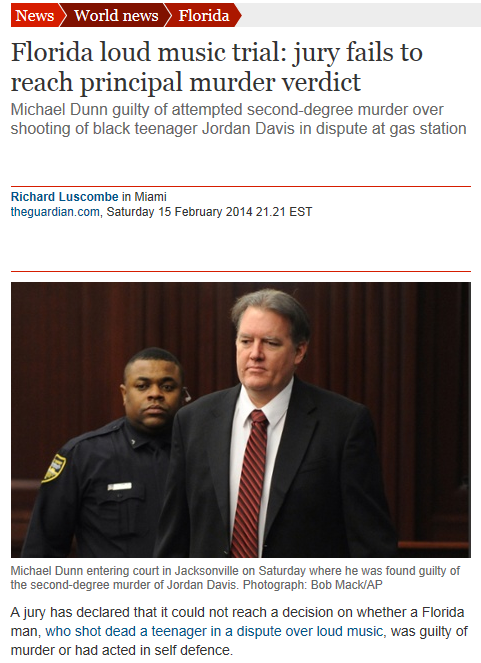 Decent football coming to Miami, and it ain’t the Dolphins! 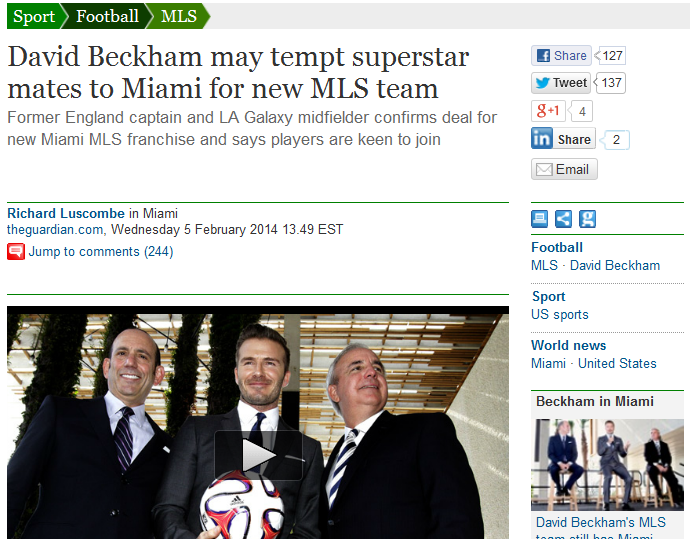 An exciting day in the so-called Magic City yesterday with David Beckham confirming what everyone’s known for a while, that he’s launching his new Major League Soccer franchise in Miami. We’re a couple of years away from kicking a ball in anger (Beckham knows more about kicking other players in anger) but I’m very excited about the quality of football it’s going to bring, not to mention the shed-load of extra work!